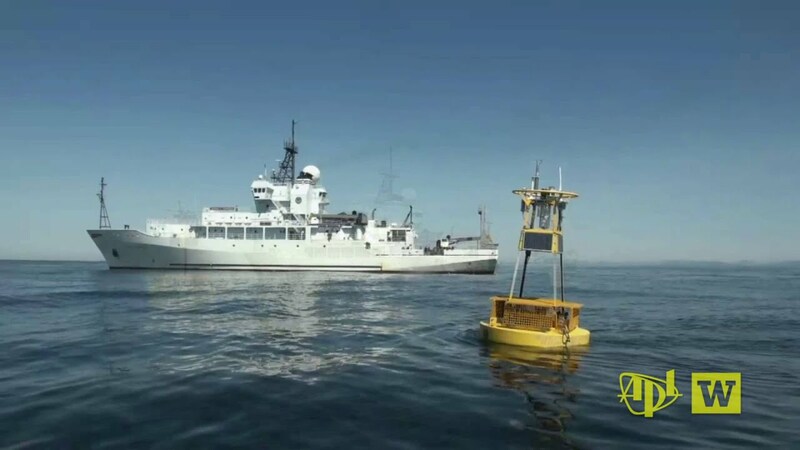 The primary purpose of the cruise was to deploy the NEMO (Northwest Enhanced Moored Observatory) moorings off the Washington coast in water about 100 m deep. 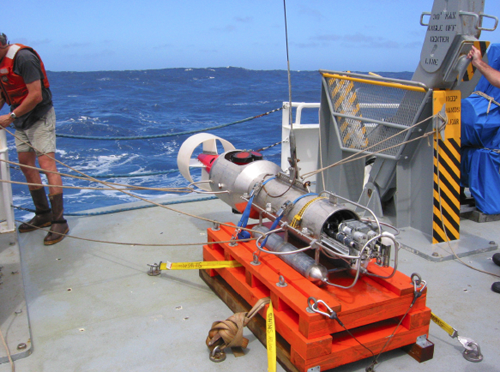 While at sea, the team also conducted science experiments to detect and track non-linear internal waves (NLIWs) traveling across the continental shelf break. 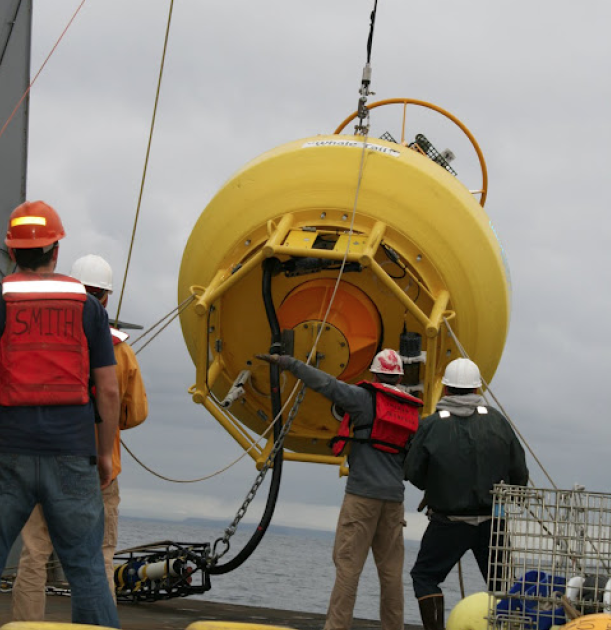 Surveys with an echo sounder and the towed body SWIMS were run from the shelf break toward the mooring location as well as in the Juan de Fuca Canyon. Six Ph.D. students from the UW Oceanography department were on the cruise to assist in the internal wave studies and to gain valuable experience at sea. Joining the research scientists and graduate students aboard the R/V Thompson were 6 'guests' from the education community: 2 classroom teachers, 3 NOAA volunteers, and 1 Seattle Aquarium staff/pre-service teacher. The teachers' goals included: using actual cruise/mooring data on joint projects with their science and math students, learning about on-board scientists' research projects and priorities to share in the classroom, and communicating with their students throughout the cruise via email and Skype. The volunteers hoped to boost their knowledge of current ocean science research off the Washington coast to inform their many national and international visitors. Tune in for daily updates from the R/V Thompson. Amy Sprenger and Sarah Messier posted cruise updates to the NANOOS (Northwest Association of Networked Ocean Observing Systems) Facebook page throughout the cruise. 'Like' them and participate in the discussion. Amy Sprenger and Sarah Messier also posted cruise updates to the NANOOS blog. They coordinated the educators' activities on board  learning how to bring actual research data to math and science classrooms. 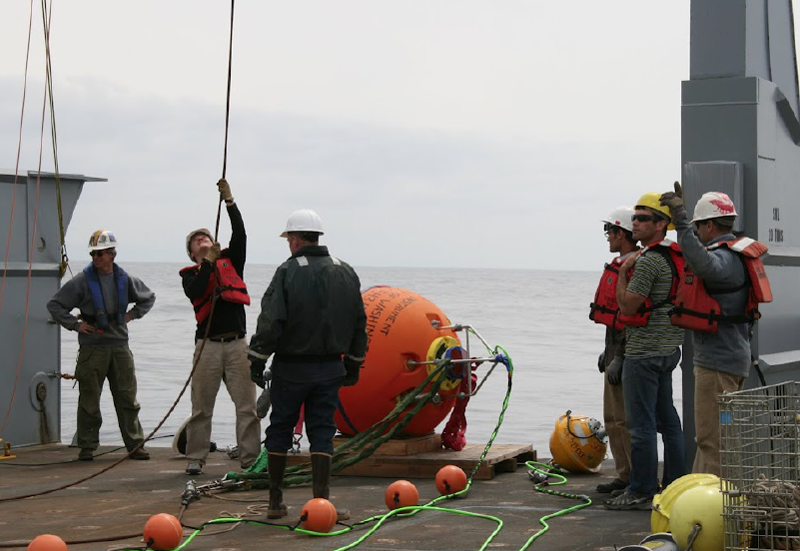 The Cha Ba ('whale tail') mooring consists of a large Surlyn foam surface buoy, a subsurface instrument cage, and a string of instruments mounted along an 81 m mooring wire. This is a catenary mooring with a 57 m long mooring chain between the anchor and a 500 lb depressor weight that is suspended 6 m above the bottom. Cha Ba samples both meteorology (winds, air temperature, rainfall) in addition to ocean properties (salinity, temperature, oxygen, nitrate, chlorophyll, pH, currents, etc.) at various depths. Cha Ba is also instrumented with a pCO2 system to help us better understand the movement of CO2 between the ocean and atmosphere. The subsurface mooring is equipped with a McLane profiler that crawls along the main mooring line. There is also a small telebuoy extended from the main subsurface syntactic float to the surface. As the profiler travels up and down a cable at 2-hr intervals, it measures ocean velocity, nitrate, oxygen, density, salinity, temperature, chlorophyll and turbidity. Though profiles are conducted less frequently than the rapid measurements on Cha Ba, they have excellent resolution with depth. Real-time echo sounder data, or possible banding of rough and smooth water on the surface, will alert us to the detection of a NLIW. The towed body SWIMS will be deployed during these surveys and the Thompson can be turned to chase the wave. Because the waves travel relatively slowly, we may try to pass through a wave train several times to obtain a 'time series' of wave evolution. Waves are expected every 12.5 hr, phased with the M2 barotropic tide. The echo sounder will be running immediately on arrival at the mooring locations and during the mooring deployment operations. As soon as one is detected, the science team will have a good idea of when the next will arrive. 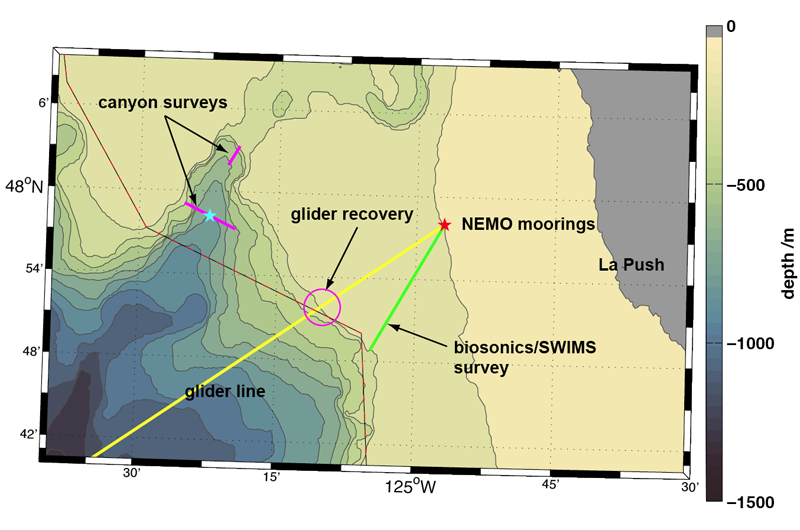 Bathymetry of Washington coast showing experiment locations: NEMO moorings (red star), cross-canyon axis and along-canyon axis SWIMS tracklines (magenta lines), echo sounder and SWIMS NLIW survey line (green), and the Seaglider line (yellow) and recovery location (circle).